When is rationing not rationing..
…a mandate not a mandate and price fixing not price fixing? 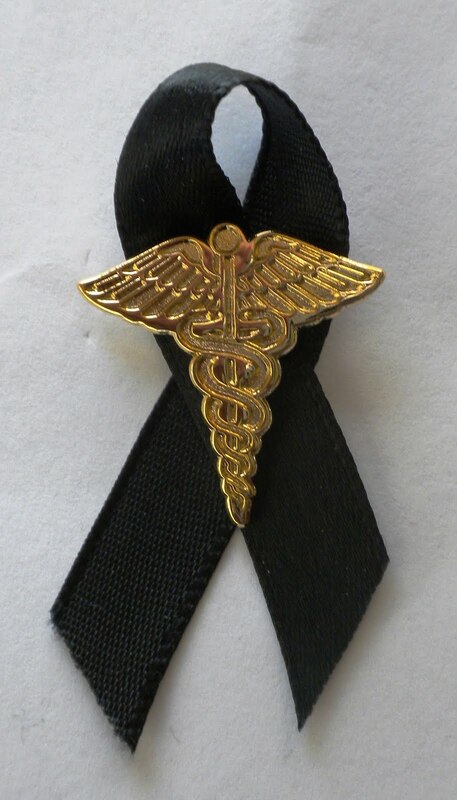 Find out here on the Black Ribbon Project blog..
Saturday September 17th, Constitution Day, is an apt day for a conference to address healthcare reform. The Lehigh Valley Coalition for Health Care Reform has put together an informative panel of presenters to do just that. If you are near Allentoen PA, and interested in learning more about what the current law will bring us, and what we can do to bring about real reform which will protect freedom of choice while making health care affordable and accessible, be sure to attend. President Obama’s mother received excellent health care, and was never denied health insurance based on a pre-existing condition. Dishonoring the dead with deception, as pathetic as that is, barely scratches the surface of the Obamacare falsehoods. You can keep your current doctor: Lie. You can keep your current insurance: Lie. Hearings will be made public: Lie. The deficit will be reduced: Lie. Four hundred thousand jobs will be created immediately: Lie. There are no death panels: Lie. Taxes won’t be increased on families earning less than $250,000 a year: Lie. And all of this comes before the first Obamacare waivers exempted the White House’s best friends from the rules that you must follow. Then support the Physician’s Prescription for Health Care Reform. NYT reporter Robert Pear follows up on the fate of the government’s plan to employ counterfeit patients in order to surreptitiously survey how physician offices respond to types of payment for their services. Not only would such a survey needlessly duplicate existing research, the methods are blatantly deceptive, operates from the presumption that physicians are not to be trusted and actively works to undermine trust between patients and their doctors. This is not the first such aggressive tactic by the current administration. Recall the White House set up to collect emails/speeches of alleged “disinformation” about their healthcare law–or Sebelius’ threats to exclude critics from participating in the new health insurance exchanges? These heavy handed tactics are not aberrations, but instead, an integral part of central planning. Unless the PPACA is repealed, such actions will continue to plague our health care system. Today’s post is an email from Chris Jacobs, Health Policy Analyst of the Republican Policy Committee. The Wall Street Journal has coverage today of Monday’s McKinsey study suggesting that more than half of all employers could decide to drop coverage by 2014… Credit Suisse in a Monday note to clients reiterated that employers dropping coverage is “exactly what was intended” by the law in the first place. The last sentence is key. Moving away from private health insurance to government provided health insurance is not an unintended consequence of the law—-it is the long term goal.